What’s Going on with 32GB Galaxy Nexus Devices? According to both Negri Electronics and Expansys, the 32GB GSM Galaxy Nexus has been discontinued by Samsung and will never be made available. For anyone not on Verizon and that wants this device but was holding out for more storage, this is awful news. The currently unlocked (non-carrier) GSM Nexus only comes with 16GB of storage, which was reason enough for many of you to pass on it. Samsung would not comment as to why they discontinued the 32GB model, but according to Negri, the Nexus has been their most popular device to date. It certainly doesn’t seem like demand is an issue. We bring this up because we received word from one of our sources that there will be a white Galaxy Nexus headed to Verizon in the near future, only it will have 16GB of storage rather than 32GB. They also shared with us that a 16GB dark (same color currently available) version will be made available around the same time. Is there something wrong with the way this device handles that much storage? Seems odd and has never been an issue on any other phone in the past. Then again, there was a ton of worrying by Sprint customers as they waited for official word on whether or not their version of the device would have 32GB or 16GB of storage. It was reportedly confirmed to have 32GB by Sprint. And I probably don’t need to remind you of this, but there was some flip-flopping of the storage capacity before this device was released onto Verizon. It’s an odd situation. 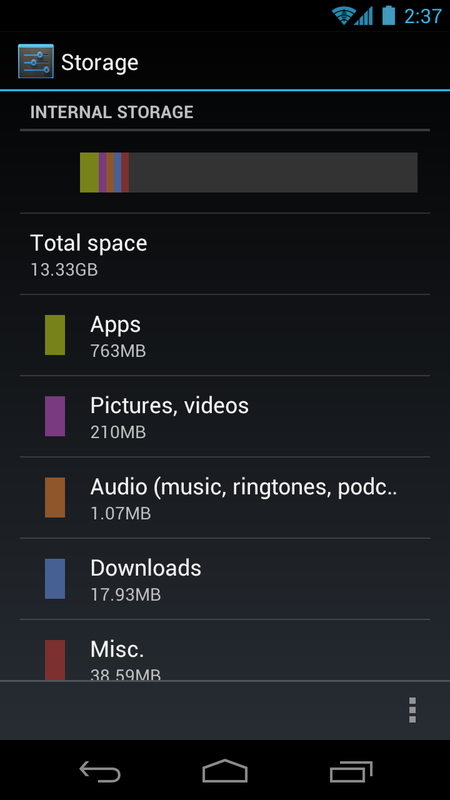 With no option to expand the storage since the device lacks a microSD card slot, something doesn’t feel right. Let’s hope this has all been one big misunderstanding. Wednesday Poll: Spend More Time Streaming Media or Playing Games?